KLM Royal Dutch Airlines is set to expand its medium-haul network with daily flights to (and from) Inverness, marking the airline’s 4th Scottish destination and 17th UK destination. The route will form part of KLM’s new summer schedule for 2016. 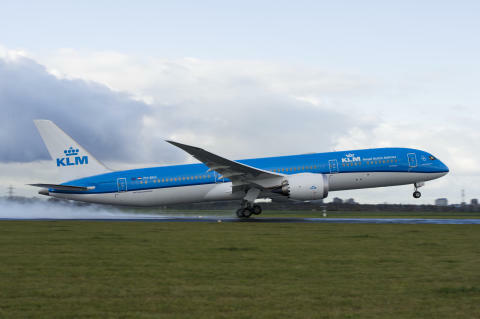 Commencing on the 17th of May 2016, the daily flight will connect Inverness to KLM’s award-winning hub Schiphol, in Amsterdam. The airline will offer a number of connections to its worldwide network of over 150 destinations from Scotland, including Montreal, Beijing and Hong Kong. All flights will be operated by KLM Cityhopper, using Fokker 70 jet aircraft, carrying up to 80 passengers. Fares start from £79 return in economy including all taxes. Flights are open for sale from today on the airline’s website www.klm.com, at KLM Reservations on 0207 66 00 293 and local travel agents. The launch of the Inverness service further cements KLM’s position as the UK’s regional airline of choice and brings the total of Scottish airports served by the airline to 4, including Edinburgh, Glasgow and Aberdeen, providing a choice of more than 100 weekly flights to Scottish passengers. The introduction of Inverness as a new destination also makes it the UK’s largest regional full service intercontinental carrier. Departure airports include London (Heathrow and City), Manchester, Birmingham, Glasgow, Aberdeen, Edinburgh, Newcastle, Leeds, Cardiff, Bristol, Southampton, Durham Tees Valley, Humberside, Norwich, Southampton and now Inverness. As such, KLM is proud to provide flight connections from the UK regions to the world. On top of adding the new Inverness and Southampton services for Summer 2016, KLM will also be increasing capacity on its UK network including in Birmingham and Leeds Bradford airports. 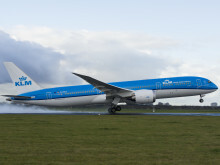 KLM’s decision to introduce services out of Inverness airport follows a strong business case put forward by the airport and our decision to position KLM as the key intercontinental airline for the regions. The research showed significant support for business and leisure sectors for the commencement of the route. KLM is regarded as one of Scotland’s major network carriers and won the regarded SPAA (Scottish Passenger Agent’s Association) “Best European Airline” award for the 15th consecutive year in November, despite fierce competition in Scotland. “This daily service, flying directly into Inverness, is fantastic news for the Highlands. It not only links Inverness to one of the world's major aviation hubs - unlocking the potential for growth in our long-haul and emerging markets - but creates further opportunities for our European visitors, many of whom are repeat visitors, to fly directly to the north of Scotland. 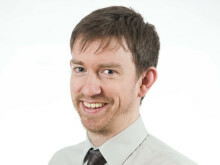 “VisitScotland’s objective is to see our country connected into every global airline network and alliance, which is key to growing the visitor economy. This new service from KLM will further enhance the promotion of the Highlands as a must-visit destination where visitors can explore distinct and beautiful landscapes and discover the world-renowned North Coast 500 route." “Demand from Scotland continues to grow and KLM has always invested in its Scottish network and local relationships in the region. We are happy to strengthen our presence in Scotland and are confident this news will be well received. Our experience of being the UK’s largest regional long-haul carrier means we are best placed to understand the needs of local communities and regional businesses and we know that the service we will provide out of Inverness will perfectly answer the needs of the people of Northern Scotland." KLM flies via the multi-award winning hub, Amsterdam Airport Schiphol. The airport was voted Best European Airport by passengers at the 2013 Skytrax awards and at the Business Traveller Awards for the 15th consecutive year. Amsterdam is the capital city of the Netherlands, and known as one of the most romantic and beautiful city break destinations in Europe. For art and culture fans, the city boasts a wide range of museums and cultural attractions, including the innovative Stedelijk Museum, the Frans Hals Museum, and the Van Gogh Museum – which this year will celebrate the 125th anniversary of Amsterdam’s most famous artist. The city is also known for its vibrant party scene, with a range of nightclubs and bars, and fantastic atmosphere across its many streets and squares. For those looking for a foodie treat, over 1,000 restaurants offer menus serving up everything from traditional Amsterdam staples to international fare, and shopaholics will find plenty to keep them occupied in the multi-storey department stores, boutiques, and local markets. KLM is part of the AIR FRANCE KLM Group which was voted Business Airline of the Year 2012 at the Business Travel Awards. KLM offers a choice of 17 departure points in the UK: Aberdeen, Belfast, Bristol, Birmingham, Cardiff, Durham-Tees Valley, Edinburgh, Glasgow, Humberside, Inverness, Leeds-Bradford, London City, London Heathrow, Manchester, Newcastle, Norwich and Southampton. KLM provides UK passengers with seamless travel to a multitude of worldwide destinations from the convenience of their regional airport. Voted Best Airline for Staff Service at the 2012 World Airline Awards, KLM offers passengers the opportunity to fly in Economy, Economy Comfort and World Business Class. Passengers can book online at www.klm.com as well as save time by checking in online up to one hour before departure. VisitScotland Chairman Mike Cantlay welcomes the announcement by Flybe of a direct flight from Amsterdam Schiphol Airport to Dundee Airport. This morning (17.05.2016) Inverness Airport welcomed KLM’s Inaugural flight from Amsterdam.